The history of cocktails has always been somewhat complicated, and no one really knows where the term “cocktail” came from. But according to recent findings, cocktails were created by the British (not the Americans), despite common misconception. As cocktails migrated to America, they became more flamboyant and experimental; Jerry Thomas’ famous Blue Blazer is still recreated in modern bars around the world. The Prohibition Era only added to the glamour and mystic to the cocktail (but let’s face it – who in their right mind would drink bathtub gin straight up?). As Hong Kong enters the “Golden Era of Cocktails”, Max Gurung, Privé Group’s Head Mixologist, reimagines classic cocktails and adds a modern twist to them. His miso whiskey sour (served only at AMAZAKE) is a funky twist on the classic whiskey sour, and is made with homemade miso-infused whiskey. Though calling it “miso-infused whiskey” is actually a bit misleading - the whiskey is infused with raw kombu, dry seaweed, spring onions, miso paste, and dry fish. All these ingredients are necessary to bring flavors together on one palate. 400 years of cocktail making has led to this moment; as you bring your miso whiskey sour to your lips, you can smell the smooth smoky whiskey before letting the cool drink touch your lips. No doubt the first bartenders would not have conceived of the marriage of flavors quite like those of Japanese cuisine and Scottish whiskey, the meeting of East and West, much like the city of Hong Kong. 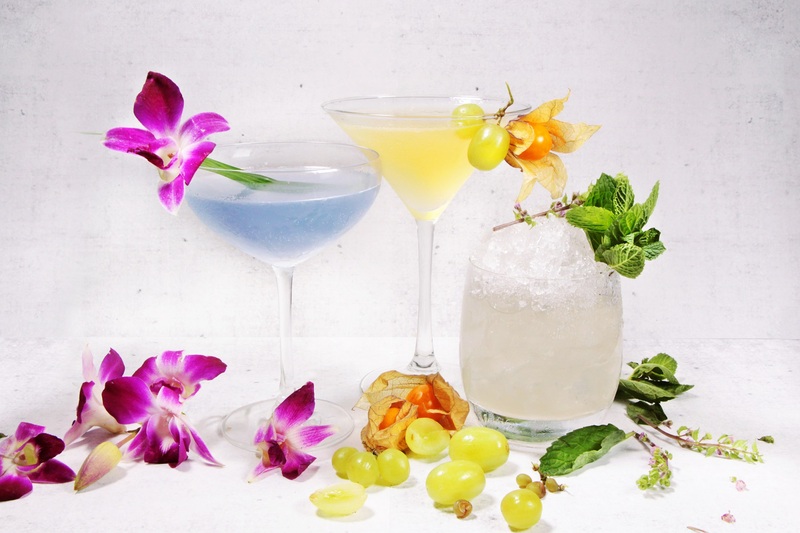 Max’s newest concoctions include the Floral Cocktail series, made with real flowers. Served exclusively at Common Room for a limited time. Max Gurung is known as one of Hong Kong’s most favorable Modern Classic Mixologists, and his inventive modern and classic cocktails are one of a kind. Having opened bars across Hong Kong including Three Monkeys, JB Lounge Whiskey Bar, Beef & Liberty Hong Kong, G&T Cocktail Bar, and Opus Grill, Max currently is Privé Group’s Head Mixologist, creating unique concoctions for Common Room, Bungalow, AMAZAKE and Assembly.